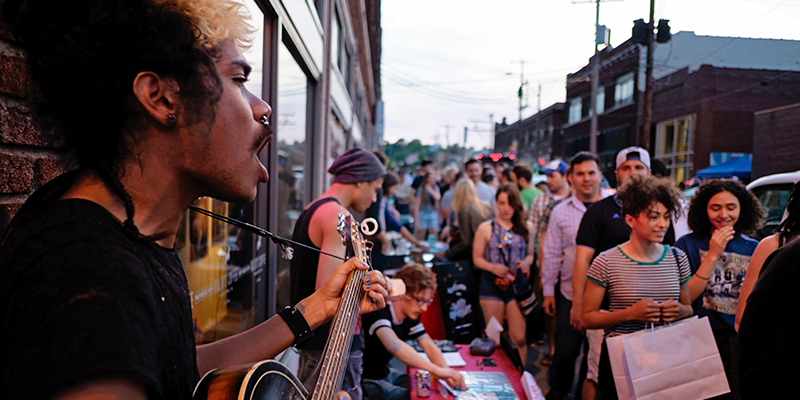 One of the great charms of Kansas City for LGBT visitors is that this friendly, welcoming metropolis has a wealth of neighborhoods of strong interest to the gay community. From downtown and the bustling Power & Light entertainment district, south through the hip Crossroads Arts District and on down through Midtown, Westport and the iconic Country Club Plaza neighborhood, you'll find shops, bars, restaurants, coffeehouses, and museums popular with the LGBT community. 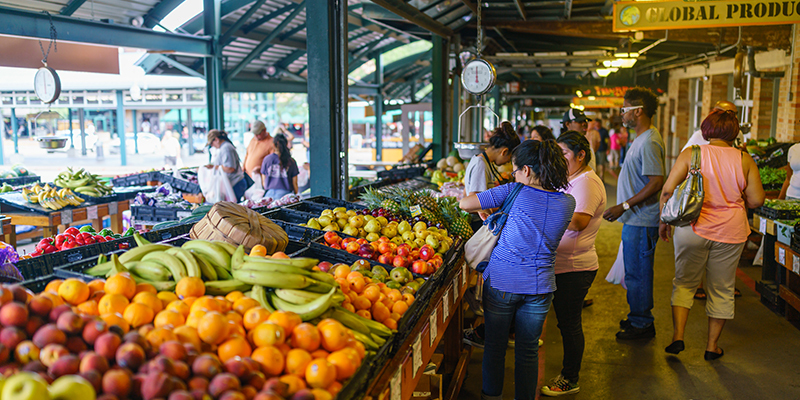 You could easily spend a full day exploring each of these areas, but if your time is limited, consider spending a full day sampling a bit of what several different neighborhoods have to offer. Here's an ideal LGBT itinerary for exploring Kansas City from one Saturday afternoon to the following Sunday morning. 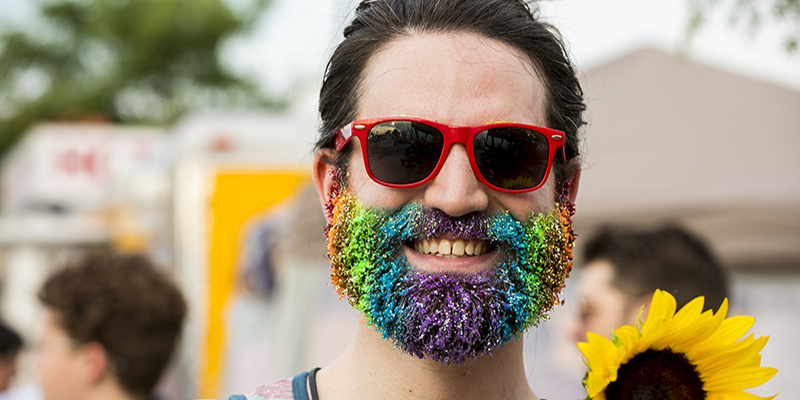 After a quick weekend, you’ll understand why About.com named KC one of America’s top 10 underrated gay-friendly destinations. 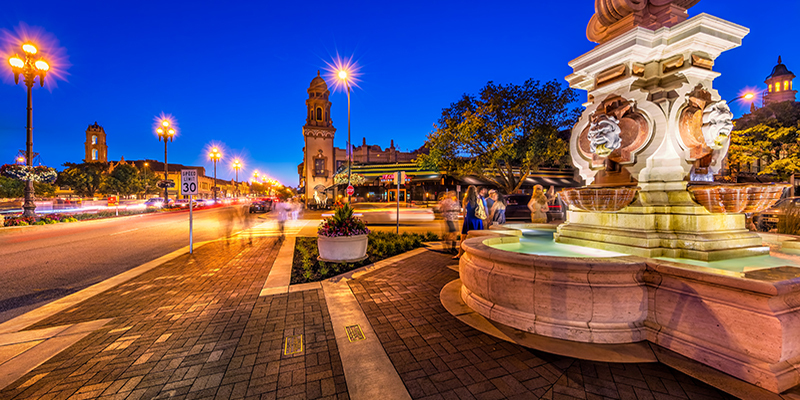 Begin with a stroll among the beautiful Spanish Colonial-style buildings of Country Club Plaza, which comprises 15 blocks of upscale shopping and is also home to a pair of superb cultural institutions, The Nelson-Atkins Museum of Art and Kemper Museum of Contemporary Art. At the latter, Café Sebastienne makes an excellent lunch option, serving well-crafted contemporary American food in a sunny atrium setting. 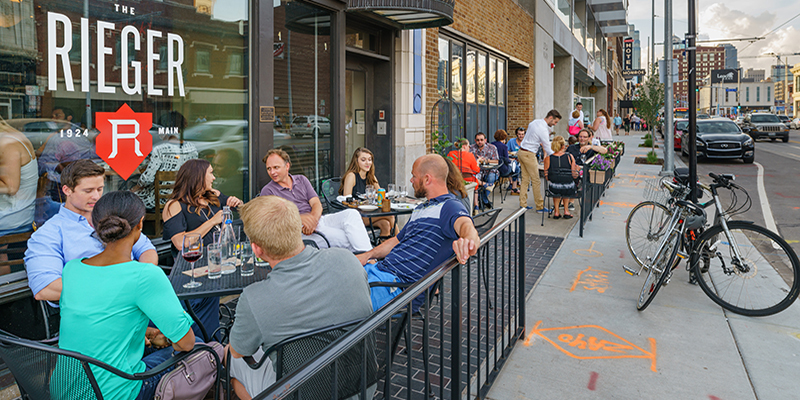 Swing by Cucina della Ragazza (a cozy Italian restaurant) and another nearby gay favorite, Cafe Trio, whose sunny outdoor deck affords perfect views of Country Club Plaza. 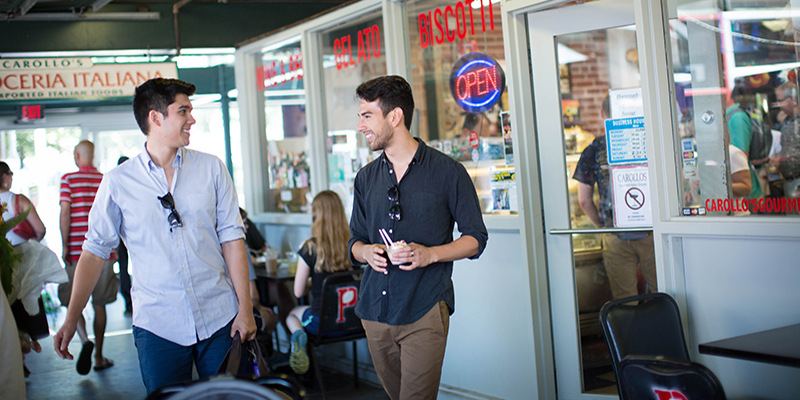 Just a stone’s throw away, KC’s Westport neighborhood may be the oldest district in the city, but it’s also quite welcoming to people of all walks. 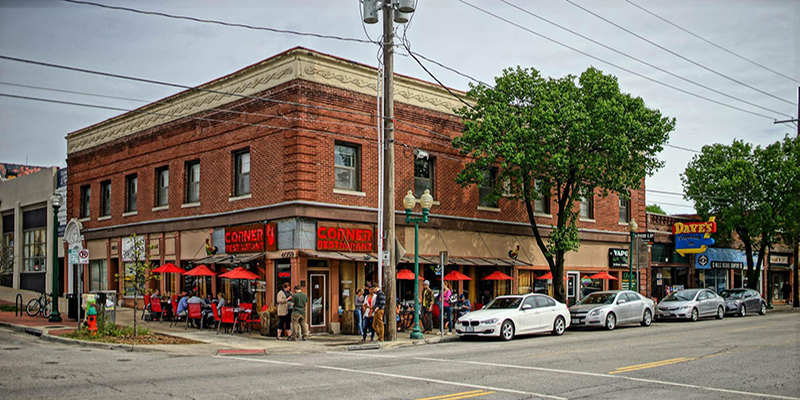 Corner Restaurant (a beacon for brunch) is a delicious places to check out. Also located in the area are gay-owned KC institutions and watering holes like Beer Kitchen. If you’re in the mood for shopping, duck in to Wonderland, chock full of clothing and gifts that are full of personality. 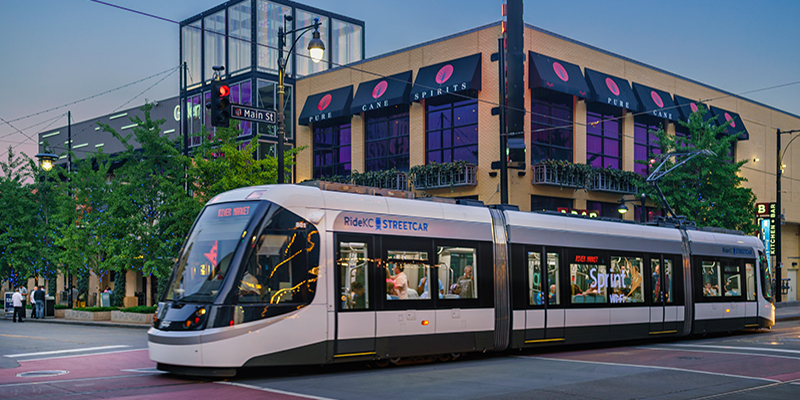 From here, head north on Main Street through Midtown (note that you'll pass a couple of popular neighborhood gay bars, Buddies and Sidekicks Saloon, which you might want to keep in mind for later in the evening) and down the hill to the Crossroads Arts District. What was mostly an industrial tract of warehouses has flourished in recent years with art galleries, distinctive shops, and stylish restaurants. To get a feel for the area, browse stores like Birdies, Peggy Noland, Retro Inferno and Studio Dan Meiners. Closer towards Crown Center (home to Hallmark Cards), the restored 1914 Union Station contains theaters, traveling exhibits, restaurants and Science City interactive museum. Walk north for several blocks on Main and its cross streets until you reach the Interstate 670 underpass - just west of here, at Broadway and West 16th Street, you'll see the stunning new Kauffman Center for the Performing Arts, home to ballet, symphony, opera and more. If you're seeking an afternoon snack or early evening cocktail, drop by the Kansas City branch of the dishy gay restaurant chain, Hamburger Mary's (it's "Maryoke!" night on Saturdays), or pop inside Mildred's Coffeehouse, which serves great espressos and is a fun stop for people-watching. If you're ready for dinner at this point, Crossroads staples like Extra Virgin and The Rieger are favorite gay-date spots. Walk just north across the underpass to discover downtown's vibrant Power & Light District, home to more than 50 bars and restaurants. Most of the city's other top gay nightspots are in Midtown and Westport, which are an easy 10-minute drive south. A good places to start is in Westport at the stylish Bistro 303, a great bet for martinis and also an excellent choice for casual but upscale dining. By midnight on a Saturday, most dedicated revelers have found their way to Missie B's, Kansas City's largest and most famous LGBT nightclub. Sunday mornings are a favorite time for brunching with friends, and there are several excellent options around town where you're apt to see plenty of gays and lesbians. If you first need a proper dose of caffeine, drop by Broadway Café, which roasts its own beans and brews stellar lattes and cappuccinos. 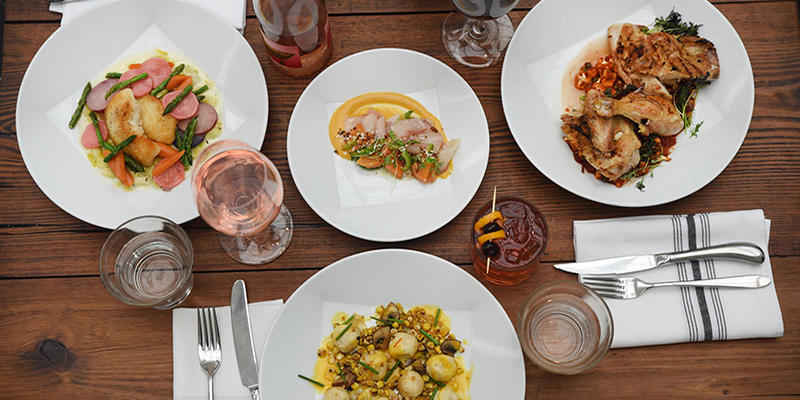 Then try one of the city's superb brunch venues, including trendy Blue Bird Bistro and the aforementioned Café Sebastienne at the Kemper. Stop into the Kansas City Center for Inclusion, Kansas City's LGBTQIA+ community center. In addition to the center’s broad slate of programming, other annual LGBT events in KC to be on the lookout for include Pride in June, AIDS Walk Kansas City in April, and the KC LGBT Film Festival in June to name a few. (See our events calendar for more). If you've still got time, spend the rest of your weekend checking out some of the many other attractions Kansas City has to offer, from the fascinating Arabia Steamboat Museum in downtown's historic City Market neighborhood to Midtown's Thomas Hart Benton Home and Studio State Historic Site, which provides a glimpse into the life of the esteemed 20th-century artist and muralist. The only challenge gay visitors are likely to encounter here is finding time to see everything Kansas City has to offer. 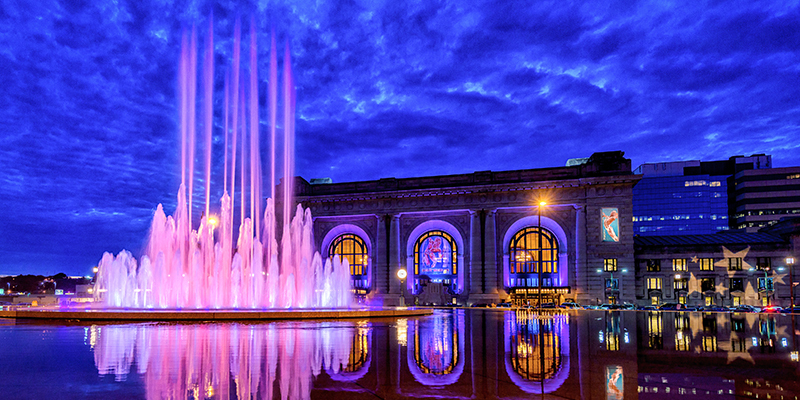 By Andrew Collins & Visit KC - Nomadic travel writer Andrew Collins has been visiting and writing about Kansas City for nearly 20 years. He writes about GLBT travel for a variety of outlets, including GayTravel.About.com, Fodor's guidebooks, and Kansas City's own Camp KC newspaper.